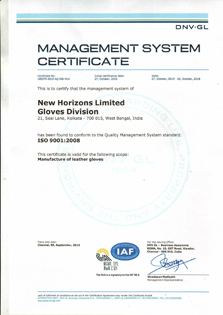 New Horizons Limited, India; ISO 9001:certified manufacturer and exporter of leather work gloves. 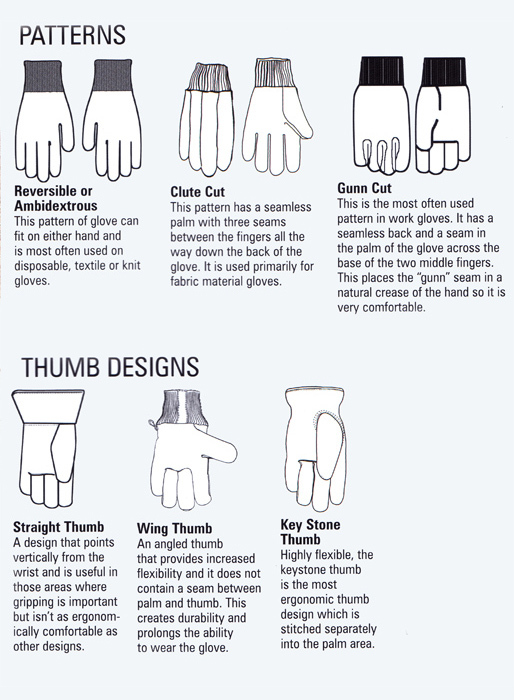 The leather glove is the oldest type of glove known. 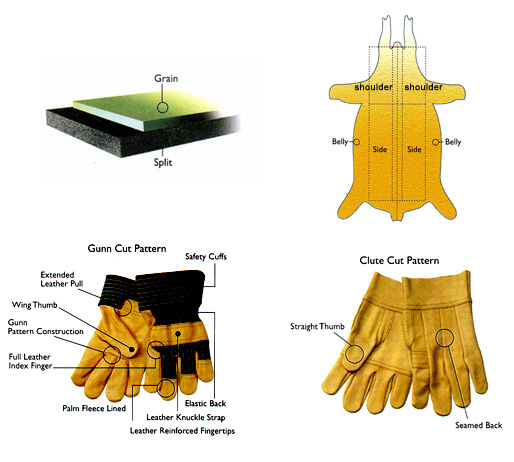 Cow grain and split leathers are the most popular for protective gloves as they offer good flexibility, manual dexterity and exceptional abrasion and tear resistance. 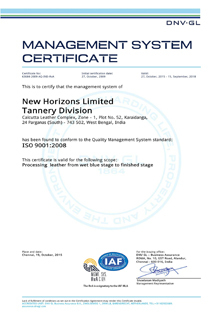 Of all the many tanning processes, chrome tanning is the most common as it makes the leather more durable and stronger while maintaining flexibility through a chemical process that reinforces the natural cross fibres of the leather. Grain: The smooth exterior surface of the hide, has good flexibility, is soft and is very durable. 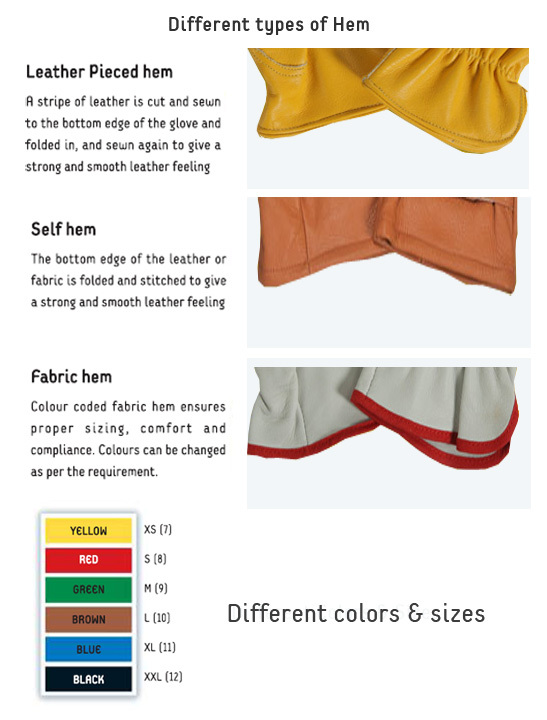 Cow hide is one of the top grades of raw materials available around the world. 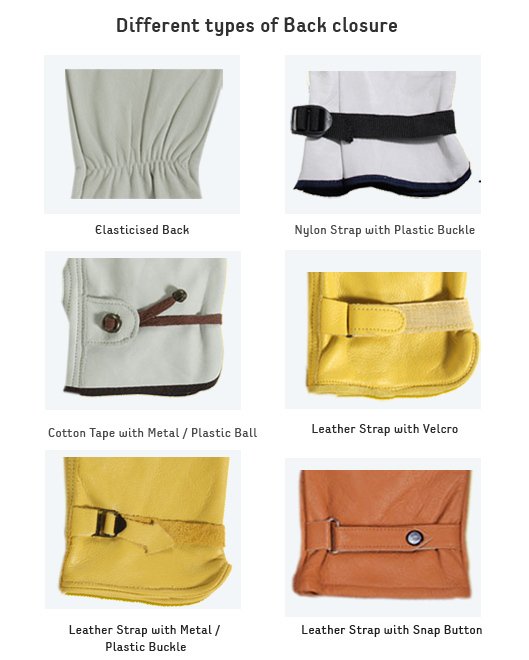 It is known for its strength and durability and is the most abundant leather. The leather maintains its integrity and takes the shape of the wearer. It gives extra comfort with everyday use and is easy to care. Buffalo grain is stronger and tougher than cow and its leather has a special grain pattern. It is not a commonly available animal in the world except in India. Various leather gloves that are normally made from cow leather can also be produced from buffalo leather at a lower price level. Goatskin leather is softer than cow grain leather and very supple. 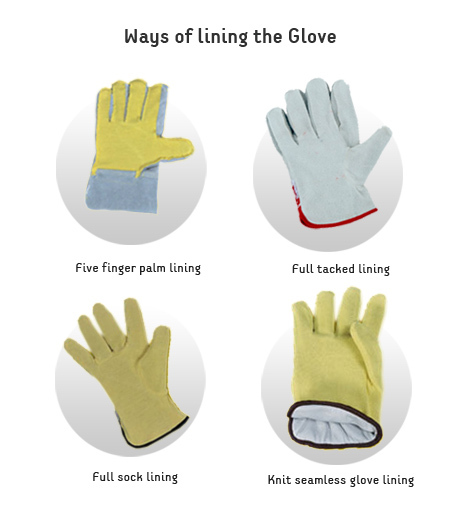 The goat skin gloves provide the highest degree of comfort, flexibility, as well as high abrasion and tensile strength. 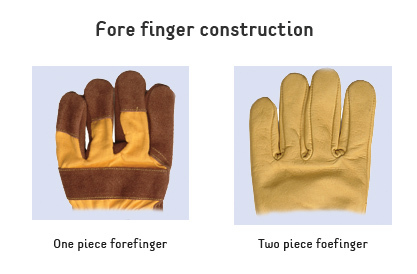 The gloves conform to your hands for optimum comfort and dexterity. Split: The rougher inside layer of the hide, has good abrasion resistance and is inexpensive. Different types are: side, shoulder or belly splits.